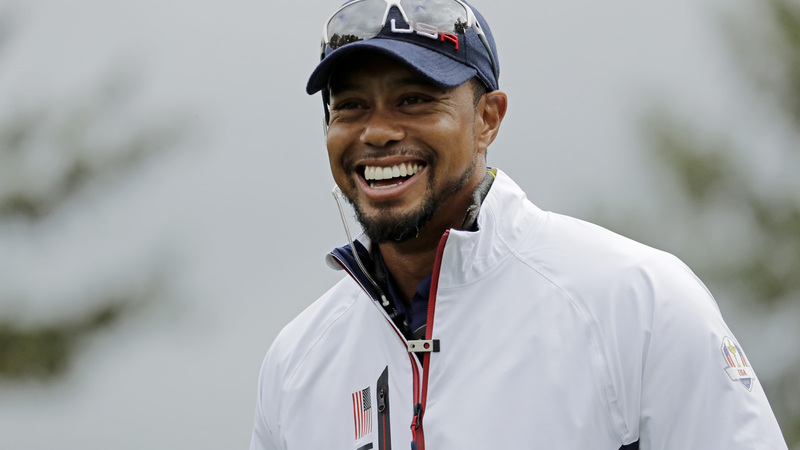 NAPA, Calif. (KGO) -- Tiger Woods' return to competitive golf has been put on hold. "After a lot of soul searching and honest reflection, I know that I am not yet ready to play on the PGA TOUR or compete in Turkey. My health is good, and I feel strong, but my game is vulnerable and not where it needs to be," Tiger Woods wrote on his website. Woods, who was set to play at this week's Safeway Open, his first tournament in more than 14 months, abruptly decided against competing in the first PGA Tour event of the 2016-17 season. The Safeway Open leads the PGA TOUR's FedExCup schedule in 2016. Woods, 40, was taking part in a pro-am event at Pebble Beach that benefits the Tiger Woods Foundation. Woods was not playing in the event, but participating as a host and conducting clinics. He attended the Washington State-Stanford college football game on Saturday, about two hours from Silverado Resort. On Sept. 7, Woods announced that he "hoped" to play the Safeway, as well as next month's Turkish Airlines Open and December's Hero World Challenge. He has not played since the 2015 Wyndham Championship, where he tied for 10th before undergoing two back procedures late last year. Woods has fallen to 786th in the world. Woods went on to say, "When I announced last week I was going to Safeway, I had every intention of playing, or I wouldn't have committed. I spent a week with the U.S. Ryder Cup Team, an honor and experience that inspired me even more to play. I practiced the last several days in California, but after a lot of hours, I knew I wasn't ready to compete against the best golfers in the world. I will continue to work hard, and plan to play at my foundation's event, the Hero World Challenge, in Albany. "I would like to apologize and send my regrets to Safeway, the Turkish Airlines Open, the fans in California and Turkey and those that had hoped to watch me compete on TV. This isn't what I wanted to happen, but I will continue to strive to be able to play tournament golf. I'm close, and I won't stop until I get there," said Woods. Two-time NBA MVP Steph Curry and 2015 NBA Finals MVP Andre Iguodala will also play in the Safeway Open Pro-Am at Silverado Resort and Spa which begins on on Wednesday, October 12. Curry was scheduled to be paired with Woods.